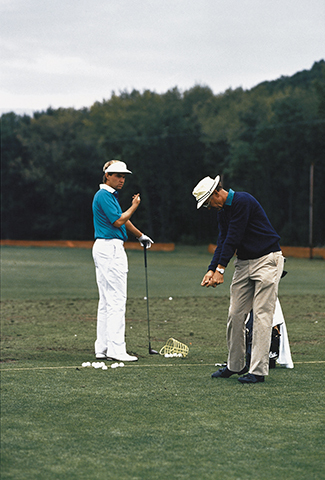 For the past 12 years, the Sea Island Golf Performance Center has paid homage to Davis Love Jr.’s passion for both teaching and learning about the sport. 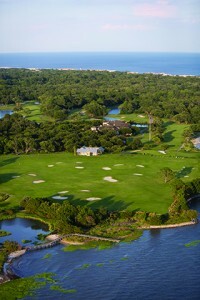 While many may recognize the Sea Island Golf Performance Center as a cutting-edge facility and a haven for lovers of the game, it’s a lesser-known fact that it also stands as a tribute to beloved golfer and dedicated teacher Davis Love Jr. In 1988, Love and fellow golf pros John Popa and Jimmy Hodges were on a small plane en route to Jacksonville, Fla., to attend a meeting of the Golf Digest School instruction staff when the plane crashed in a fatal accident. The trio was planning to announce the new collaborative venture between Sea Island and Golf Digest: a new learning center. Four years later, the facility, created in the same spirit as Davis Love Jr.’s original idea, opened under the instruction of Jack Lumpkin and Scott Davenport. 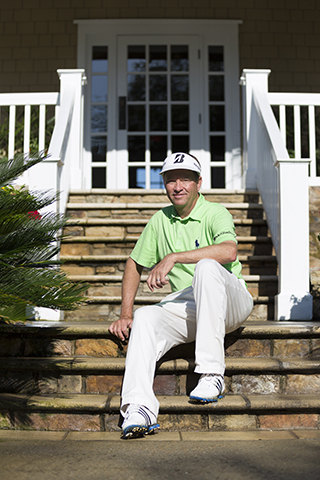 “[My father] wanted to create the best practice facility in the country—not only to teach golf skills, but to coach players on how to play, practice and have fun, a place for aspiring teachers to come learn how to teach golf,” says Davis Love III. The center attracted elite talent and provided quality instruction over the years by utilizing video equipment, hitting areas and a pristine driving range. With the addition of Todd Anderson as director of instruction in 2004, the golf experience at Sea Island Golf Performance Center was elevated yet again. “They were doing clubfitting and instruction, obviously,” says Anderson, who was named the 2010 PGA Teacher of the Year. 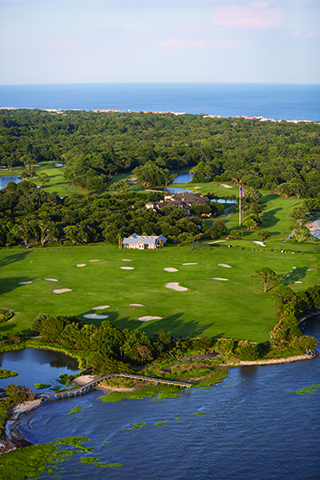 “But I brought in Randy Myers to head up the fitness side and [Dr.] Morris Pickens to [handle] the sports psychology and the mental side of the game so that we had all the different aspects … to offer the students when they came to Sea Island.” Myers’ experience as a longtime PGA TOUR trainer allows him to determine each student’s areas of strength and where he or she could improve. Pickens’ students have captured more than 25 PGA TOUR victories, including three majors. He uses his background in sports psychology to help players organize their thoughts and get their mind in the game. Anderson’s innovative thinking worked. There are now more PGA TOUR pros, including Love, Matt Kuchar, Harris English and Zach Johnson, who call Sea Island their home turf than at any other golf destination. In May 2014, the latest renovation to the Golf Performance Center was completed. The facilities now feature 300 yards of tee area, five covered hitting bays, an indoor putting lab, target greens, a short game space, a dedicated fitness center with 3-D technology and an extensive clubfitting program with the latest state-of-the-art equipment. It also continues its tradition of hiring nationally ranked instructors, three of whom were named among America’s 50 Best Teachers by Golf Digest.